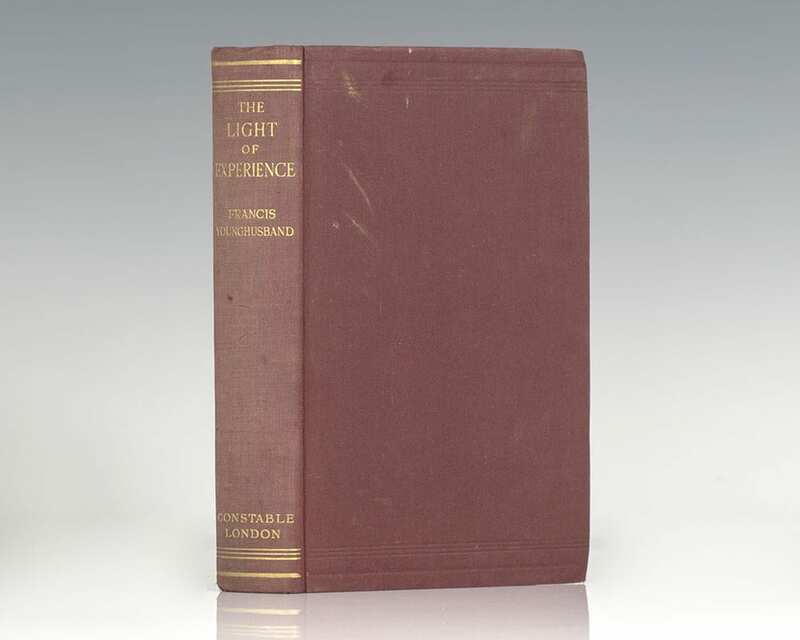 The Light of Experience: A Review of Some Men and Events of My Time. London: Constable & Co. Ltd, 1927. 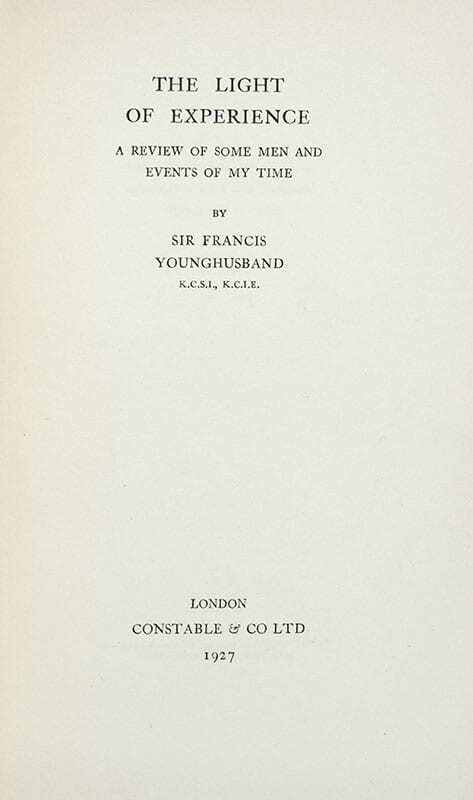 First edition of Sir Francis Younghusband’s autobiography. Octavo, original cloth, illustrated with maps. In near fine condition. A sharp example. British Army officer Sir Francis Edward Younghusband is remembered for his travels in the Far East and Central Asia; especially the 1904 British expedition to Tibet, led by him. Younghusband's autobiography covers the highlights of his military career and expeditions throughout Peking, Tibet, Kashmir, and Lhasa.